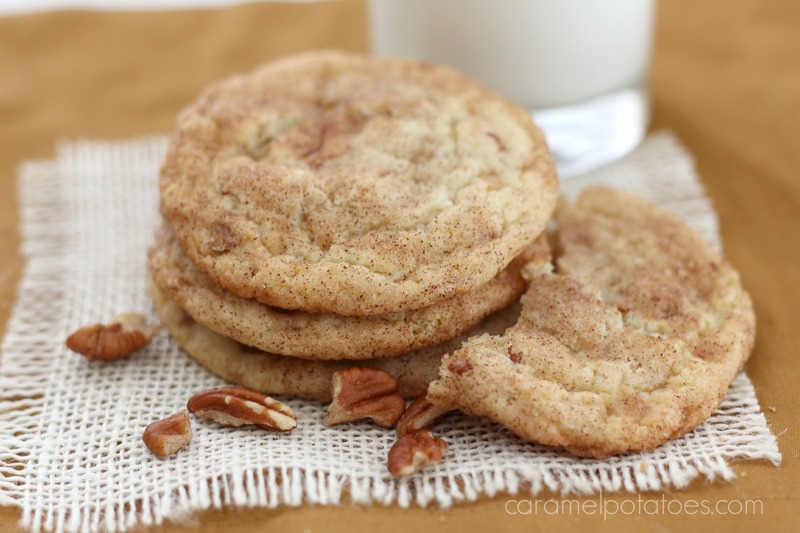 I have always loved snickerdoodles; as a kid, making them was a dream come true – I was actually allowed to play with the dough and roll it into balls! 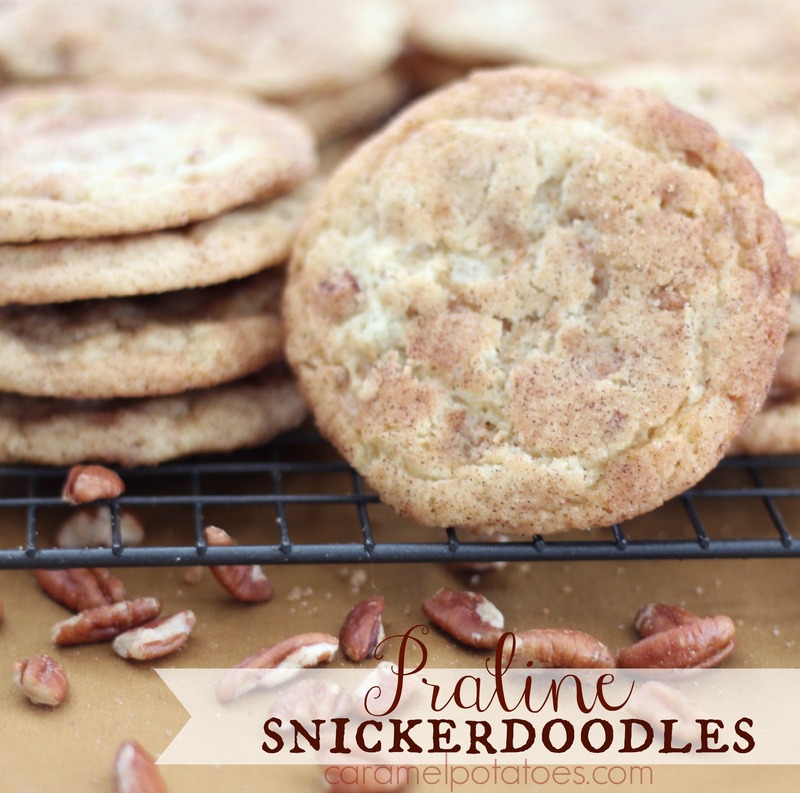 That classic flavor is still in these yummy cookies, but it’s all dressed up for the holidays in these Praline Snickerdoodles. The addition of toffee chips and pecans is a holiday combination you are going to want to add to your cookie tray! In a large mixing bowl beat butter with an electric mixer on medium to high speed for 30 seconds. Add 1-1/2 cups of the sugar, the cream of tartar, baking soda, and salt. Beat until combined, scraping side of bowl occasionally. Beat in eggs and vanilla until combined. Beat in as much of the flour as you can with the mixer. Stir in any remaining flour, the toffee pieces, and pecans. Cover and chill dough about 1 hour or until easy to handle. Preheat oven to 375 degrees F. In a small bowl stir together the remaining 1/4 cup sugar and the cinnamon. Shape dough into 1-1/2-inch balls. Roll balls in sugar mixture to coat. Place balls 2 inches apart on an ungreased cookie sheet. Bake for 10 to 12 minutes or until edges are golden brown. Transfer to a wire rack and let cool. Makes approximately 4 dozen cookies – depending on size.